No GMO’s, No Soy, No Pesticides! This just came in my email and it only serves to confirm my worst fears of eating Mayo all these years. Having spent the past several years hunting for an Organic one with no success, I eventually settled on the one with the fewest additives, Blue Plate. Finding one without Soy did not look likely, at least not here in Central Florida. But then thankfully, about a month ago, one was found with no Soy in it, and I tried it. I really loved the taste, better yet, it contained NO SOY! I now buy two bottles each week, just in case they drop it at my local store, as has been an often been the case, when something really healthy is discovered. As you can imagine, reading this GMO story today and the accompanying press release study, I was more than a little relieved that I no longer eat/buy Soy Mayo. Several other stories were in this same email, about the FDA and their attempts to eliminate the already widely approved requirements for identifying GMO’s in all foods. Am I the only one who is convinced that the FDA and most of big Government wants to force these toxic foods down our unwilling throats, just to keep Monsanto happy? I remember reading a story not so long ago, about the CEO of a huge Food Corporation, who ONLY eats Organic, isn’t it odd that they will not themselves eat the foods that they sell to the rest of us? While looking for information about my new favorite Mayo, several ugly stories came up. Wow, it is absolutely shocking what can happen when you threaten the Giants, like Hellman’s and others with a new product. The reason that I bought this new product in the first place, was because it was the ONLY one that did not have Soy in it. If you know anything about Soy, it is processed, using Hexane, which is a pesticide. Expeller pressed anything is always the best way to go with foods. So, today, I have shared with you a new passion, Just Mayo. 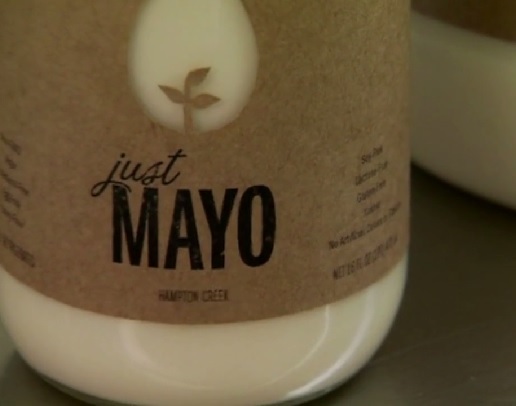 Yes, I know it really isn’t Mayo, but that is exactly why I like it, because it is made without GMO’s, Soy or Pesticides.